Cop Land is the first movie that I remember hearing about where an actor or actress severely changed their weight for a part in a film. Sylvester Stallone gained 40 lbs. for his role in the movie. I remember thinking how crazy he was for doing that. 40 lbs. is a lot of weight to gain, and it is a lot more to have to lose again. 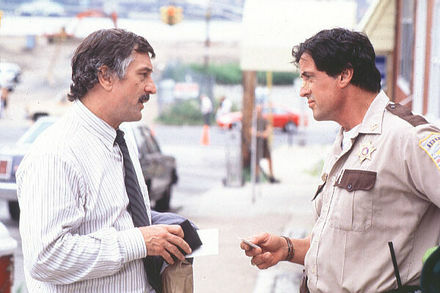 Now, 16 years later, I realize that it was just Stallone’s awesome dedication to doing what he loves that allowed him to do what was necessary for his role in Cop Land. 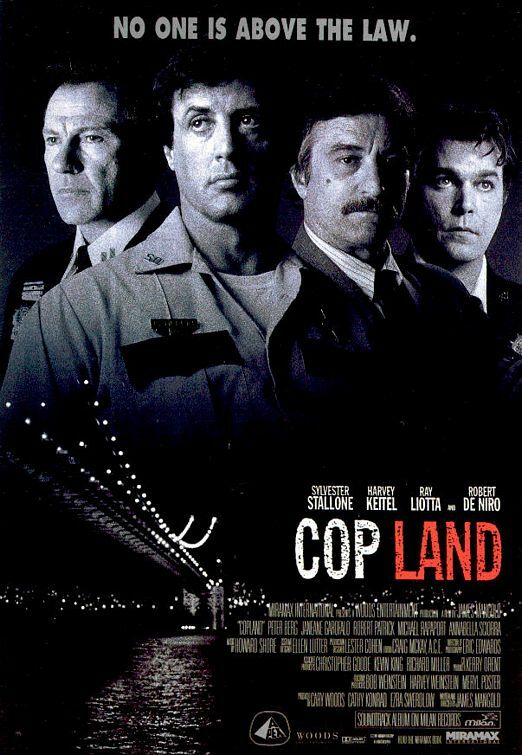 The film is about an army of corrupt New York City cops with ties to the mob who buy themselves a chunk of New Jersey. They are virtually untouchable until the sheriff of their little “Cop Land” (Sylvester Stallone) becomes wise to their ways. 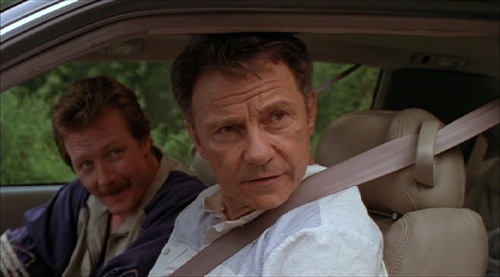 The movie was written and directed by James Mangold and the rest of the noteworthy cast includes Harvey Keitel, Robert De Niro, Ray Liotta, Robert Patrick, Peter Berg, Michael Rapaport, Annabella Sciorra, Janeane Garofalo, Noah Emmerich, Cathy Moriarty, Frank Vincent, John Spencer, Arthur J. Nascarella, Edie Falco, John Ventimiglia, Robert John Burke, Michael Gaston, Bruce Altman, Tony Sirico, Frank Pellegrino, Vincent Laresca, Victor Williams, Paul Calderon, and Malik Yoba. They brought in all of the big guns to make this film. The cast list is so staggering that I am sure that I left someone out. You couldn’t ask for a better cast in a movie. Because of the type of movie Cop Land is, and especially because of the cast, you can expect a lot of violence and language, but mostly, powerful performances. Cop dramas don’t get a whole lot better than this one. Cop Land is one of those movies that gets better every time that I watch it. It is interesting because a number of actors in the film were cast against type. Guys who usually play bad guys are now playing cops. But, it works out because some of them are corrupt. So, I guess they are just bad guys with a badge. 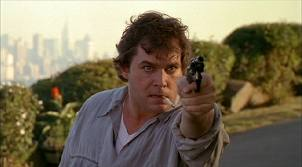 It is no surprise that the movie has a bit of a Goodfellas (1990) and The Sopranos feel to it, because a number of the cast members were in those shows. A couple of them were also in the film Beautiful Girls (1996). With so many great actors in the movie, none of them really stood out over another because they were all acting on the same level. Overall, Cop Land is a unique, underrated cop drama that packs a big bang. Like a fine wine, it gets better with age. Posted on October 27, 2013, in Action Movie Reviews, Drama Movie Reviews and tagged Annabella Sciorra, Arthur J. Nascarella, Beautiful Girls (1996), Bruce Altman, Cathy Moriarty, Cop Land (1997), Edie Falco, Frank Pellegrino, Frank Vincent, Goodfellas (1990), Harvey Keitel, James Mangold, Janeane Garofalo, John Spencer, John Ventimiglia, Malik Yoba, Michael Gaston, Michael Rapaport, movie, Noah Emmerich, Paul Calderon, Peter Berg, Ray Liotta, Robert De Niro, Robert John Burke, Robert Patrick, Sylvester Stallone, The Sopranos, Tony Sirico, Victor Williams, Vincent Laresca. Bookmark the permalink. Leave a comment.